The telecom operators and internet content providers have been at loggerheads over the issue of net neutrality. Trai: How is India's telecom regulator faring in its commitment towards better quality of service? 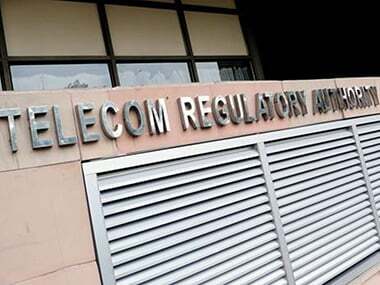 A round up of all the regulations and consultations by Trai, and their current statuses. Savetheinternet.in is back with a hacktivism campaign, that responds to TRAI's pre-consultation paper on a neutral free internet platform. According to reports, the government of India might be trying to finalise the policy framework over the controversial net neutrality issue. TRAI’s stance on differential pricing is strong, clear, and laudable in the face of Facebook’s relentless onslaught. As Indians, we’re rightfully proud of what we’ve accomplished and, dare we say it, more than a little proud of TRAI’s stance. But what does the rest of the world have to say about this? Net Neutrality is, after all, the core of a great many debates in a great many countries. The comment by Marc Andreessen drew sharp criticism from netizens with some calling Facebook’s Free Basics plan as Internet colonialism. Marc Andreessen, a prominent venture capitalist and Facebook board director, apologized for tweets that condemned the Indian government for banning the social media company's free Internet service. Facebook board member Marc Andreessen today set off a controversy by terming India's decision to bar discriminatory Internet tariff as an "anti-colonialist" idea and said the country would have been better off if it remained under British rule. Lauding the telecom watchdog's decision on discriminatory pricing, Communications Minister Ravi Shankar Prasad on Tuesday said Internet is one of the finest creations of the human mind and it should not become the monopoly of a few.